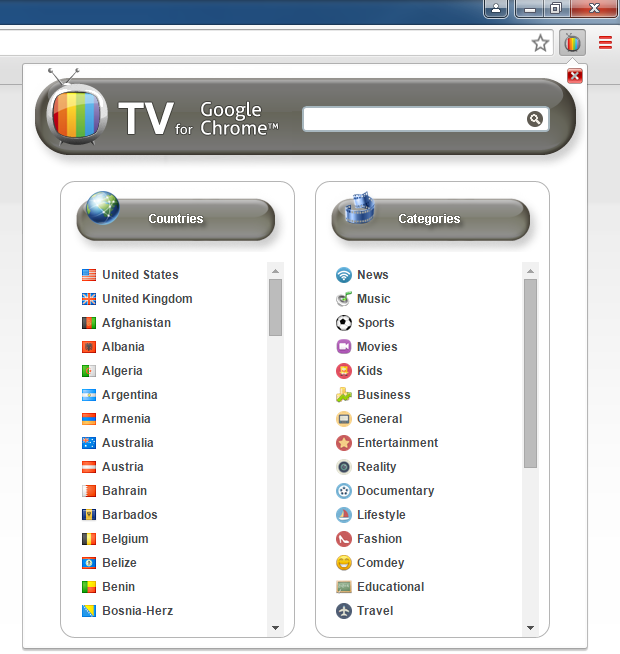 TV Add-on for Google Chrome – Watch TV directly from your Chrome Browser, it’s Easy & Free! 600 Live TV Channels sorted by country & category, the TV-CHROME allow you to watch thousands of TV channels freely available on the internet. powered by the biggest and most up to date database.